I don't know about you, but I seem to find myself extra busy in Spetember. After a relaxing interesting 6 weeks off from the school run, we are back into the routine of school, homework and early bed times with a bang. Dinner times can end up being boring as I just don't seem to have the time to come up with new ideas of things to eat, we end up getting stuck in a rut of eating the same things on a weekly basis. Birds Eye to the rescue. This lovely company have enlisted the help of some talented little chefs to bring us parents a range of ideas for tasty dinner time recipes, designed to be yummy and appealing to even the fussiest of taste buds. 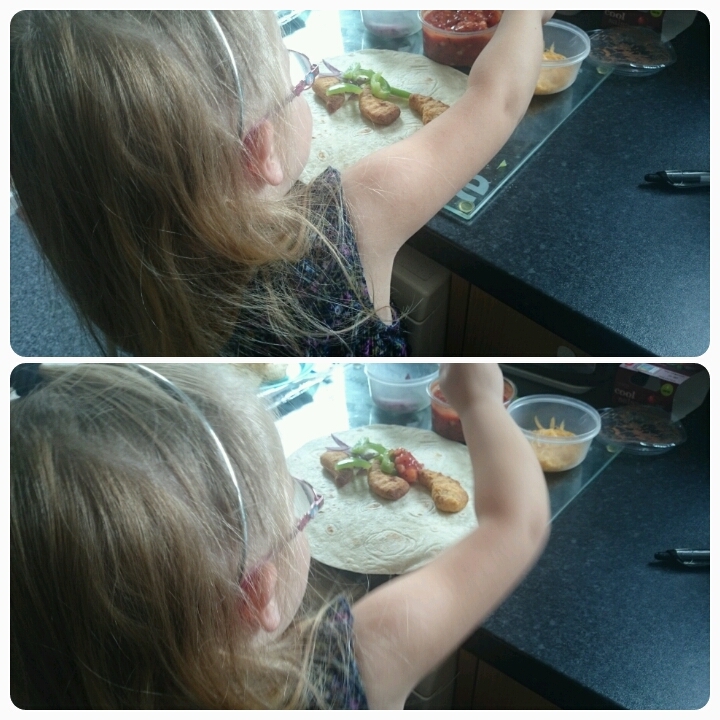 The girls and I opted to make the Chicken Dipper Fajitas seen as normal fajitas are always a family favourite. * Preheat your oven and cook the chicken dippers as per instructions on the packet. * During the last 5 minutes of the chicken dippers cooking, fry your onion and peppers in a little oil, I like to use fry lite. * Add all the ingredients into the wraps. 3-4 chicken dippers per wrap. 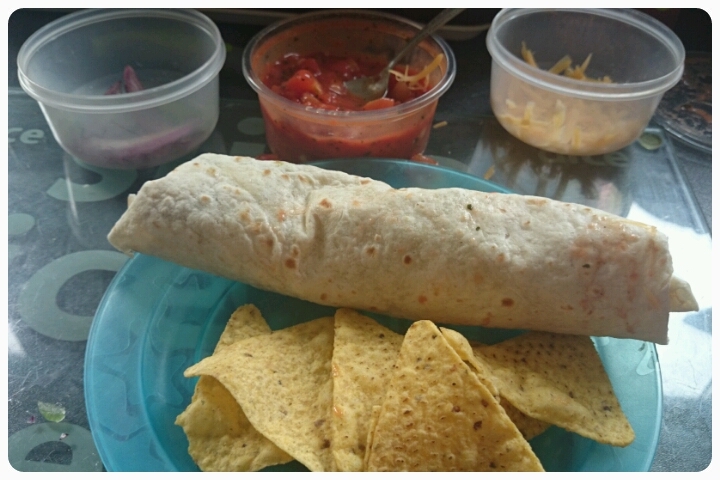 * We like to add extra toppings in our wraps as well as tomato salsa, as suggested in the ingredients, you can use things like lettuce, cheese and sour cream. * Once your wraps have been filled, fold over each side a little (this will secure the ends), then roll as tight as you can. Of course you can eat the fajitas on their own or you can serve with things like tortilla chips and rice. 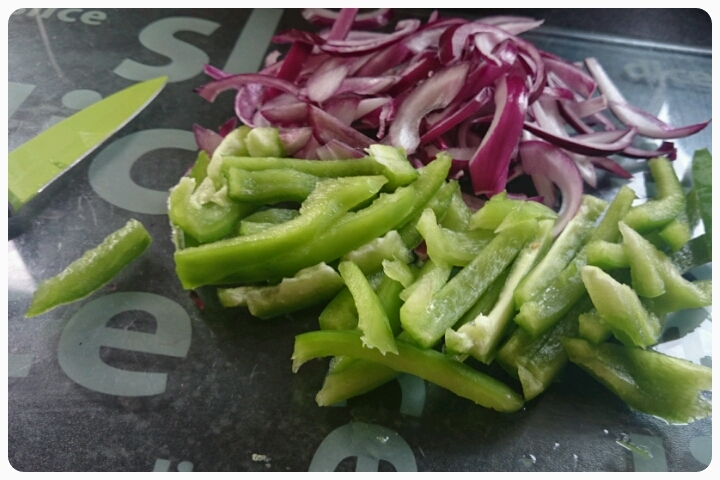 My girls love a bit of spice but this recipe is a great mild alternative. 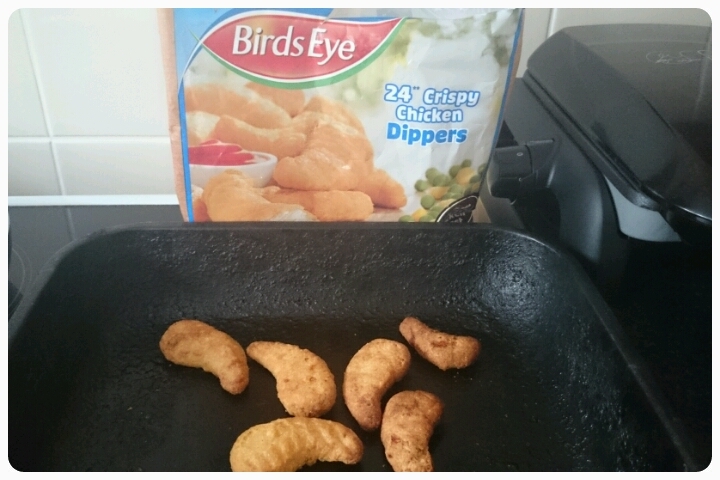 Disclaimer : I received vouchers to buy the dippers to make this recipe however all thoughts and opinions are my own.